For a full head with volume and length, 5-7 packs, for volume only 4-5 packs. How many strands come in a package? How much hair is in each strand? Each 18″ Keratin Flat Tip strand weighs .8 grams. How long does the Keratin Flat tip extensions last? 4-6 months with proper care. 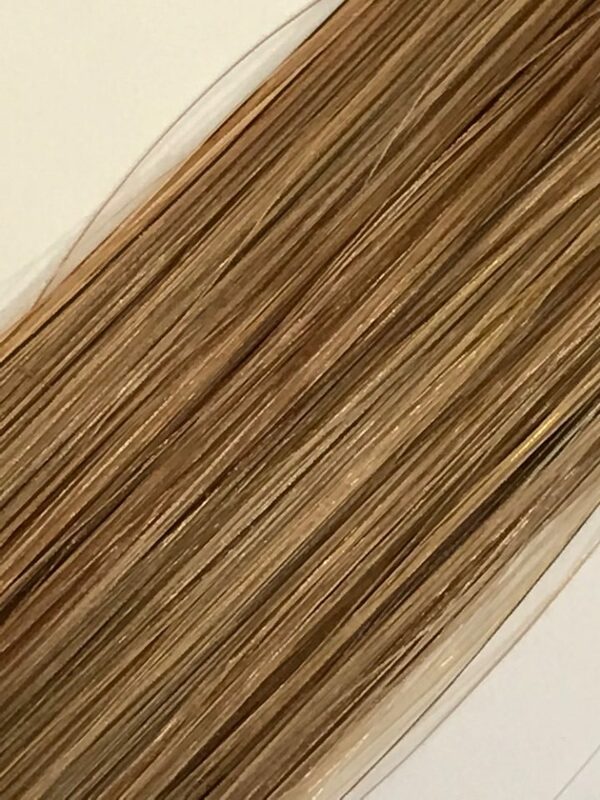 100% Human Remy Hair, 90% Double Drawn, Tangle Free and Cuticle Intact. Our luxury hair has a full-bodied texture that is strong and durable.